Compact FT-847 Mini-Manual. Size, 4.5x8 inches. 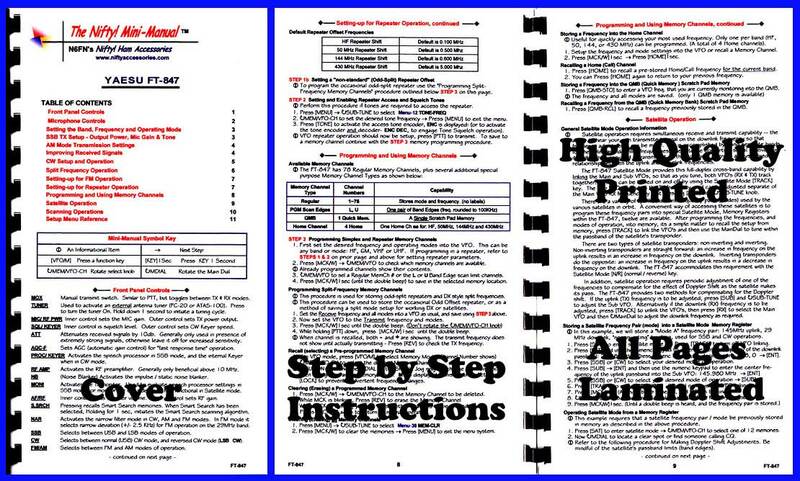 Twelve high-quality laminated pages, loaded with detailed procedures. Ideal short-form guide for setting-up and operating this outstanding all-bands, all-mode satellite capable radio.